Happy Holidays from the Skimbaco Team! Last year each of us created a gift guide with some of our personal favorite products and gift ideas, this year we did something different. This year we all gathered our favorite products and gift ideas under one large Pinterest Board, and then created our gift guide from the products in our Big Gift Board. We hope our Holiday Gift Guide will help you to make this Holiday a memorable one. Our Holiday Gift Guide follows our editorial integrity guidelines. Every single product is hand-picked by our team members. However, we are publishing some sponsored Holiday posts this Holiday season, and a few of the links in the posts are affiliate links. An affiliate link means that if you purchase through a link on our site, we will get a commission from the purchase. Sponsored post means that we are paid to write specific content, but don’t be alarmed – the content is still authentic Skimbaco-content, and most likely something we would publish anyways. We are happy to announce our partnership with a gift company Red Envelope for year 2014. 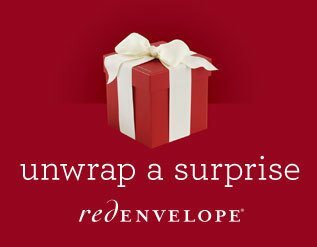 Red Envelope is our main advertiser, and we would love if you’d check them out when you are purchasing gifts this holiday season. We will publish some posts sponsored by Red Envelope, but they are not sponsoring our Holiday Gift Guide. You will find product picks from Red Envelope in our Holiday Gift Guide, simply because we love the products, and are pretty sure that you will too! I am personally so excited about the partnership, because they align so closely with Skimbaco-brand. The Red Envelope purchasing team travels around the world to pick the most unique gift items, and then you can shop for the gift items at their site easily from your home. The gifts arrive in their signature red gift box, and there is just something magical each time you open the red box! If you would like to support our business this Holiday season, please shop at the following stores (below), which are affiliated with us. The links to the following stores from our Holiday Gift Guide are also affiliate links. More importantly: shop at Red Envelope to thank them for supporting Skimbaco Lifestyle. Note: we are not getting a sales commission when you shop at Red Envelope, but we think you will love them as much as we do – you already might! We would also love to hear about your shopping experiences with them. Wishing you Happy Holidays, and my sincere thank you for reading our online magazine.